Solid Foundations of Sebring proudly serves the Sebring community for all of its foundation needs. We offer Free Estimates to property owners in the area and we are a licensed Florida General Contractor. 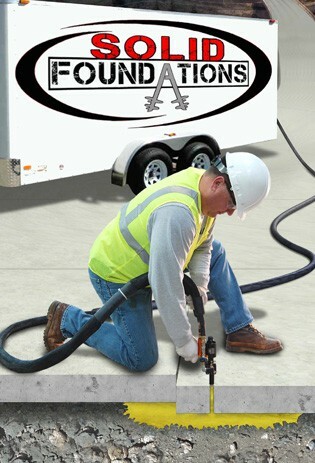 At Solid Foundations we are dedicated to making sure that the foundation of your home or business is on solid ground. The foundation is by far the most important part of any structure, and without a sturdy one, buildings can collapse. Therefore, we pride ourselves in providing the most efficient, effective, and quality products and procedures that can transform any faulty foundation in Sebring back into the secure source of support it was designed to be when the establishment was first built. From seawalls to sidewalks, Solid Foundations can ensure that the world around you is level and safe. We understand that no modern, functional, and livable building can exist today without a foundation. A solid foundation is an unquestionable requirement of the safety and suitability of a structure, so when a foundation is not solid, a lot more than just the building is in jeopardy. What Causes A Faulty Foundation in Sebring?